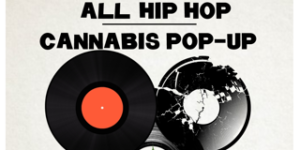 Come enjoy Mamajuana Edibles All Hip Hop Cannabis Pop Up on Saturday, July 8th from 12-4p. Come in get what you need, listen to all the best hip hop tracks, and vibe out. We will have delicious edibles, flowers, music, pre-rolls, great vendors, all friendly vibes and more. Smoking permitted. Mamajuana Edibles will have cannabis-inspired items for sale and lots of delicious, potent cannabis-infused edibles to giveaway. Cash Only!